Not to be confused with Laguna de Santa Rosa. Santa Rosa, officially the City of Santa Rosa, (Tagalog: Lungsod ng Santa Rosa), or simply known as Santa Rosa City, is a 1st class city in the province of Laguna, Philippines. According to the 2015 census, it has a population of 353,767 people. It is the second largest local government unit in Laguna after Calamba. Nowadays, it is the seat of the First District Representative of Laguna. Santa Rosa was initially known for the Coca-Cola and Toyota manufacturing plants in its industrial estates. Recently, it has also become popular for being the site of Enchanted Kingdom, a local theme park; as well as several housing developments. This city contains the 3rd largest complex in Laguna, Paseo de Santa Rosa. Santa Rosa became a city by virtue of Republic Act No. 9264, which was ratified by its residents on July 10, 2004. In 1571, Spanish conquistador Juan de Salcedo, the grandson of Miguel López de Legazpi, founded the town of Biñan which was annexed as a barrio to Tabuco (now, Cabuyao) while exploring the region of Laguna de Bay. In 1688, Biñan, together with Barrio Bukol (Santa Rosa, before separation from Biñan) separated from Cabuyao. After a series of renaming, separation of barrios to become independent towns, Barrio Bukol was politically emancipated as the municipality of Santa Rosa. The town was renamed after Saint Rose of Lima. The municipality of Santa Rosa was founded on January 18, 1792. During the revolutionary period in 1898, the town was instrumental in the proclamation of Philippine independence from Spain when it signed the Act of Independence on June 12, 1898. Later on the town's local revolutionaries fought alongside the forces of Pío del Pilar during the Philippine–American War. On February 5, 1945, the town was left abandoned by the Japanese soldiers when the local guerrilla resistance movement, with support from the American and Filipino military contingent, entered the town proper, where skirmishes, torture, and deaths occurred. Santa Rosa's land area is approximately 54.13 square kilometers (5,413 hectares). It is located west of Laguna de Bay. The western half of the city occupies the numerous commercial, industrial, and business establishments, while the other is primarily composed of residential areas and subdivisions, schools, industrial zones and various business establishments. Santa Rosa is politically subdivided into 18 barangays. Some inhabitants of Santa Rosa today erroneously refer to themselves as "Rosanians". But since Santa Rosa is a Spanish name, the correct demonym should be "Rosaños". Like other places in Metro Manila, the original settlers are Tagalogs. Throughout the centuries, there has been constant migration of Spaniards, Visayans, Bikolanos, Ilokanos, Chinese and Americans. The main language is Filipino, which is based on Tagalog. In addition, due to continuous development of the city, English language is used in education, business and information technology. The majority of the people are Roman Catholics. Other religious groups represented include the Aglipayanos (members of the Iglesia Filipina Independiente - a breakout Catholic Church from the RCC in 1902 headed by the Union Obrera Democratica whom installed Gregorio Aglipay as its first Obispo Maximo), the Church of God International, the United Church of Christ in the Philippines, Jesus Is Lord Church, Baptist, Jehovah's Witness, and Iglesia Evangelica Unida de Cristo (Unida Evangelical Christian Church) founded in 1932 by Don Toribio Teodoro. Some migrants and expats have formed in 1994 the Saint Nicholas Orthodox Church (under the canonical jurisdiction of The Orthodox Metropolitanate of Hong Kong/Philippines- Ecumenical Patriarchate) in Golden City Subdivision under the pastoral care of Rev. Fr. Philemon Castro, MDiv. Santa Rosa is the premier city and hub of South Luzon. Santa Rosa is also known as the Lion City of South Luzon. According to the 2013 COA AFR report,the city has an annual income of 2.3 billion pesos, surpassing the income of Calamba and Batangas City. Santa Rosa is now the richest city in South Luzon in terms of annual income. Major commercial banks in the Philippines operate in the city. At this time, there are 68 banking institutions that offers banking services to businesses and residents. Most of these are concentrated in Barangay Balibago, Don Jose, Macabling, Pulong Santa Cruz, Santo Domingo and Tagapo. A number of car brands have put up dealerships in Santa Rosa. The list of prominent car dealerships include Chevrolet, Ford (Borromeo), Foton, Honda (ANC), Hyundai, JMC, Kia, Mazda (Borromeo), Mitsubishi (Ancar), and Subaru (ANC). Further, the Borromeo's Ford and Mazda have recently put up shop while two of the six ANC Group brands, namely Honda and Subaru, have branches in Santa Rosa. The city host various shopping malls. These are SM City Santa Rosa, Robinsons Place Santa Rosa, Ayala Malls Solenad, Vista Mall Santa Rosa, and the Paseo De Santa Rosa. Dubbed as the "Motor City of the Philippines" or "Detroit City of the Philippines", Santa Rosa is host to multinational automotive giants Nissan Motors Co., Ltd., Toyota Motor Corporation, Honda Motor Co., Ltd., and Mitsubishi – all contributing 95 percent of the country's automotive production. It is also the location for the headquarters of Santarosa Motor Works, Inc.
Food conglomerate Monde Nissin Corporation, which manufactures Lucky Me! instant noodles and Monde biscuits, has a plant here in its 14-hectare manufacturing facility. Santa Rosa is also home to the largest plant of The Coca-Cola Company in the Philippines, situated right across the Santa Rosa Exit of the South Luzon Expressway. In 2018, Santa Rosa became the new home of HAMBURG Trading Corporation's 7000 sqm facility that houses the company's warehouse, administration office, and state-of-the-art demo kitchen - all in one roof. Santa Rosa is also looking to be the next hub for the BPO industry. It is currently ranked 82nd in the world for its competitiveness in the Information Technology and Business Process Outsourcing services (IT-BPO) by the leading strategic advisory firm, THOLONS. BPO companies present in Santa Rosa are Convergys, KGB, Teletech, IBM and Concentrix. Also in Santa Rosa is the Philippine subsidiary of French video game development company Ubisoft, which opened on March 28, 2016. Santa Rosa is accessible via South Luzon Expressway. Two exits are available namely, Santa Rosa Exit (KM 38) and Greenfield City – ETON City – ABI Exit (KM 42). A four-lane national highway from Alabang, Muntinlupa up to Calamba, Laguna passes through the city. Another road, Santa Rosa-Tagaytay Road, acts as the main route for people going up to Tagaytay from Metro Manila, especially on weekends and vacation periods. Public transportation within the city, like in most of the urban areas in the Philippines, is facilitated mostly using inexpensive jeepneys. Tricycles are used for short distances. In Laguna Bel Air, residents uses exclusive multicab shuttles within the village complex. Santa Rosa's source of electricity is part of the Manila Electric Company or Meralco. Water supply for the city is supplied by the Laguna Water Inc. Santa Rosa's communication system is powered by the Philippine Long Distance Telephone company, and Digitel Philippines. Cellular network in the Philippines particularly the metropolitan areas is increasing rapidly together with the low cost of calls and text messaging. Such big companies that control the cellular networks in the Philippines and Santa Rosa itself are Globe Telecom, Smart Communications (PLDT) and Sun Cellular from Digitel. Cable & Satellite Television access is provided by SkyCable, G Sat, Cignal Digital TV, and Royal Cable. Internet Digital Subscriber Line or DSL coverage is provided by PLDT, cable internet is serviced by Sky Cable's ZPDee and Global Destiny. Wireless broadband is provided by Globeliness Broadband and Smart Communications. The Santa Rosa Community Hospital is the primary public hospital of Santa Rosa. The city also hosts at least seven other private hospitals namely the New Sinai MDI Hospital and Medical Center along Maharlika Highway, Marian Hospital, Balibago Polyclinic and Hospital, and St. James Hospital along J.P. Rizal Street, Santa Rosa Hospital and Medical Center along RSBS Boulevard, The Medical City South Luzon at Greenfield City District, and Qualimed Nuvali. Santa Rosa City is governed primarily by the city mayor, the vice mayor and the city councilors. The mayor acts as the chief executive of the city while the city councilors acts as its legislative body. The vice mayor, besides taking on mayoral responsibilities in case of a temporary vacancy, acts as the presiding officer of the city legislature. The legislative body is composed of 10 regular members and representatives from the barangay and the youth council. ^ "Province: Laguna". PSGC Interactive. Quezon City, Philippines: Philippine Statistics Authority. Retrieved November 12, 2016. ^ "Republic Act No. 9264". Corpus Juris. March 10, 2004. Retrieved January 1, 2016. ^ "Province of Laguna". Municipality Population Data. Local Water Utilities Administration Research Division. Retrieved December 17, 2016. ^ Wilson, Jason (March 28, 2016). "Ubisoft Philippines is the island nation's first major game studio". VentureBeat. Retrieved March 29, 2016. ^ Morris, Chris (March 28, 2016). "Ubisoft Doubles Down in Southeast Asia – Fortune". Fortune. Retrieved March 29, 2016. ^ Otero, Jose (March 28, 2016). "Ubisoft Opens a New Studio in the Philippines – IGN". IGN. Retrieved March 29, 2016. 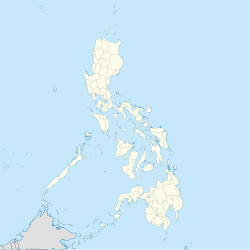 Wikimedia Commons has media related to Santa Rosa, Laguna. This page was last edited on 21 April 2019, at 12:04 (UTC).